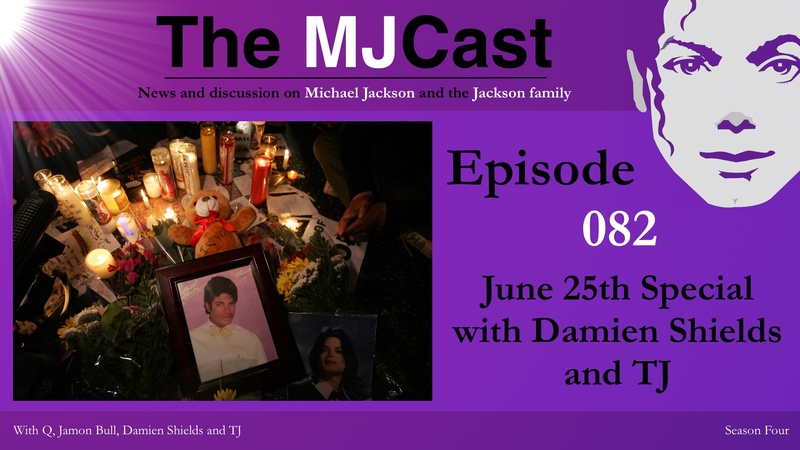 This entry was posted in Specials, The MJCast, Uncategorised and tagged Akon, anniversary, Damien Shields, Judith Hill, June 25th, Michael Jackson, Michael Trapson, One of the Most Shameful Episodes in Journalistic History, podcast, Scott and Michelle Dalziel, Special, TabloidJunk, The Commodores, The Jacksons, The MJCast, This Is It, TJ, Xscape Origins by Elise Capron. Bookmark the permalink. Speechless,crying and laughing at the same time,while a candle with oil is burning in memory of Michael.Thank you again,people like you making the world a better place. Wow, This gave me the feels. Thank you for sharing this, This was so needed. Is there a video of that channel 9 interview Damion Shields did? Also, would like to hear Elise on the show again! Need that female perspective. I’ll be on the show again sometime soon-ish. I love chiming in for the ladies! Thanks for your support; it is greatly appreciated. Hi guys! I have listened to every one of your episodes…. Episode #82 is by far my favourite. I was lucky enough to see the Jacksons 2 nights in a row in November 1984 in Vancouver (Victory Tour). I am so greatful for all that you do! THANK YOU!! !